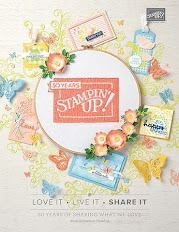 Spend $45 on stamp sets from the Growing Up section of the 2009-2010 Idea Book & Catalogue (pages 74-90) and receive a FREE package of Designer buttons--a $10.95 value! Eligible buttons are listed below. You've probably seen these adorable little boxes on Splitcoast lately, but I couldn't resist making them for Big shot Club lastnight. I can't believe how easy they were to make with the Matchbox and Top Note Dies. We used the new Razzleberry Lemonade DSP with Crushed curry and Dusty Durango drawers. We made our little drawer pulls with the filagree brads and then finished off the top with the Razzleberry stamp set and some Hodgepodge Hardware. Wait until you see what is coming out in the Holiday Mini that would make a great addition to these little jewellry boxes! This is the make-n-take card that we'll be doing at my Crop Night this Thursday. I absolutely love the new Finial Press Embossing Folder. If you click on my photo you can see it in much greater detail. The DSP is my new favourite Cottage Wall... wait until you see the new class that I have coming up with this one! 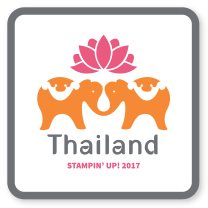 Finally, the stamp set is For All You Do which is part of the new recruiting special on right now! I still have some space for Thursday night, but please make sure to RSVP if you're coming. 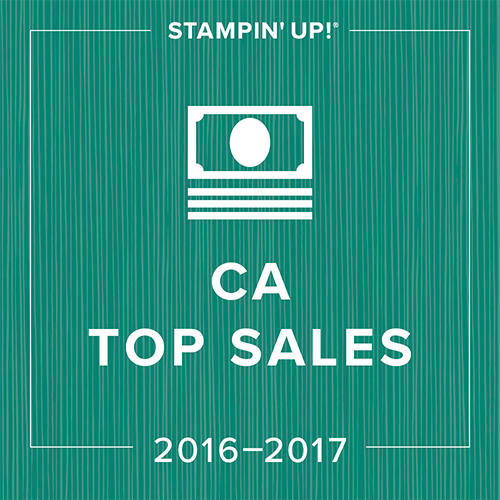 Every week during the month of July, Stampin' Up! will offer one discounted product as a "Deal of the Week." With no limits and no minimum purchase required! From July 27 - July 31st, 2009 (at 10:50pm) you can purchase Stampin' Up's Heart to Heart Punch (Item Number: 113694 - Page 186) for $15.99 regularly $22.95. To take advantage of this offer please contact me directly or visit my Stampin' Up! website and click Shop Now! Another fabulous thing about being an SU demo is all of the little tutorials that we get. One of the new ones available to us in the past few weeks was a lesson on making your own boxes. I will admit that I got a little (okay, a lot:) carried away and made many different heights, sizes and prints of boxes. This one was a bit of a mish mash in that I was trying out a whole bunch of new products at the same time that I was making it. I've used the new Clear Bigz die for the scallop square, as well as the new Tall Tales DSP. The little peek-a-boo window was made using the window sheets. 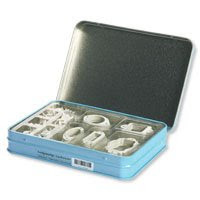 With the little buttons, this box seemed suited towards a gift for baby or small child. If you like to learn more about these demo perks, give me a call or send me a quick email. Now is the time to sign up with the fabulous promo that SU is offering. Check out the link on my right sidebar! This was the final project that we completed at technique club this month. It is such a satisfying technique to try. It doesn't seem to matter how badly you think that you've botched it... they always come out looking wonderful. I found the wonderful tutorial for this on Patty Bennett's Blog ( my hero:). This was just one of the girls' cards. Somehow I managed to take less and less pictures as the techniques went on:) Just as no two roses are the same, even though all of the cards were made with the same basic supplies and colours, they were all completely individual. I found the template for the card here. If you make a purse like this, please forward me a link in your comment, I'd love to see what you come up with. I always tease my club girls that they are not interested in popping up any stamped image unless there's a punch to go with it. Somehow the task of cutting out the image is not something that has grown on them. As a result, I was thrilled to see the new butterfly punch in the catty to go along with the Flight of the Butterfly stamp set. I saw this card on Lynn Put's blog and decided that for my new catty party make-n-take that we would case this card! I loved the layout, the use of the new In Colours and the fact that people could see how great it was to have a punch that coordinates with a stamp set. The only thing that I changed up was that we used the eyelet border punch instead of the scallop border punch. If you look closely at my picture you can see the evidence of my learning curve (or lack thereof) I always comment on the fact that I need to remember to put my sample cards in a translucent envelope before using them for a class/ workshop sample, but I always forget and then inevitably someone drops them on an ink pad! This was another fun 3-d item that I had on display at my new catty party on the weekend. Yes, I was a bad girl and used a tiny bit of the old In Colour items. I couldn't resist. The best part is that this gorgeous ribbon is now available in a bunch of colours instead of just the Riding Hood Red that was available to us in the previous Holiday Mini. The stamp set on this is the new Level 2 set called Christmas Punch. It is definitely going to be a favourite of mine going into the holiday season. These boxes make me hungry... why you ask? Well, I can imagine Peanut Brittle in these for some reason. If you're wondering how I got the fabulous border around my scalloped image, I used the Movers and Shapers Bundle. If you just cut out the shape and don't worry about the card, you get a perfect mat for the punches! I'm a little embarrassed to admit why I haven't posted any of the pictures from my Open House on Saturday. My new catty party was from 1:30-3:30pm and by the time all of my friends were on their way out the door it was closer to 3:45pm. By 4:03pm we were on the road to the Okanagan to meet my mother who was waiting for us at our property in Sorrento. On my to-do list was to quickly take photos of my samples so that I could post them while I was away. Guess what I forgot to do....take the photos. So I have a ton of new things to share with you over the next week or so. This was a sample that I made using the new Sunny Day Simply Scrappin' Kit. I also got to make use of my two new Sizzix letter sets Alphabet Simple and Timeless Type Alphabet Simple. I can't wait to share more with you tomorrow! 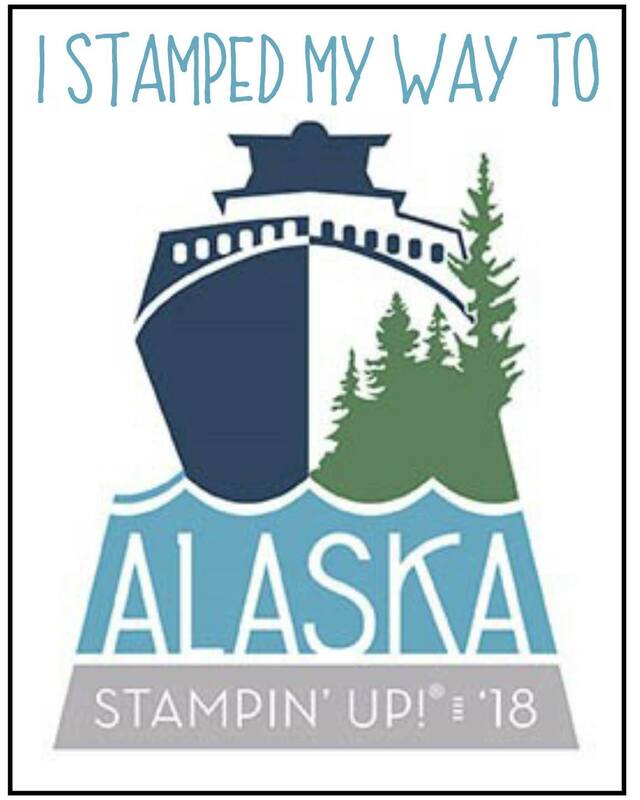 From July 20-27th, 2009 (at 8:50am) you can purchase Stampin' Up's! Styled Vanilla Hodgepodge Hardware (Item Number: 112454 - Page 178) for $26.99 regularly $41.95. To take advantage of this offer please contact me directly or visit my Stampin' Up! website and click Shop Now! Just a reminder that my New Catty party is this Saturday. Today is the last day to RSVP in time to get a make-n-take although you are still welcome to join us if you miss this reminder! Check out this post for more details! I can't wait to share everything with you! I've decided that as I showcase some of the new products from the catty that I will offer my own little specials. These specials will have time limits and will only be available while ordering through me directly. My online shopping site is unable to process these discounts. My first special will be on any of the Simply Scrappin' kits in the new catty. These kits are $26.95 +s/h and taxes. From July 15th until midnight on the 17th I will be offering these Simply Scrappin' kits for $25 including taxes and s/h. You can order as many of the kits as you'd like and these are available to be shipped anywhere in Canada. If you would like to have these kits shipped directly to you contact me for the additional cost of shipping. If you purchase 4 or more kits, there is no additional cost per kit no matter where in Canada it is being shipped. Surprisingly enough, before I even created the card that I posted a few days ago, I did this two page 12x12 scrapbook layout. When it comes to scrapbook pages, I can often have a bit of a brain block and not be able to come up with an effective layout. For that reason, I've bookmarked the Page Maps website. It provided me with a sketch and I completed it with the supplies in my kit. If you click on the photo to enlarge it, you'll see that the top third of the photo actually has a polka dot DSP that coordinates. TIP: When using a Simply Scrappin' Kit, cut your sticker pages into the individual embellishments while leaving the backing on. That way you can move your layout around the way you want it before committing to anything. Use a temporary adhesive like Dotto to get your DSP and Cardstock where you want it before finally adhering it with a permanent adhesive. Do You Want to Be a West Coast Creator... We'd Love to Have You! 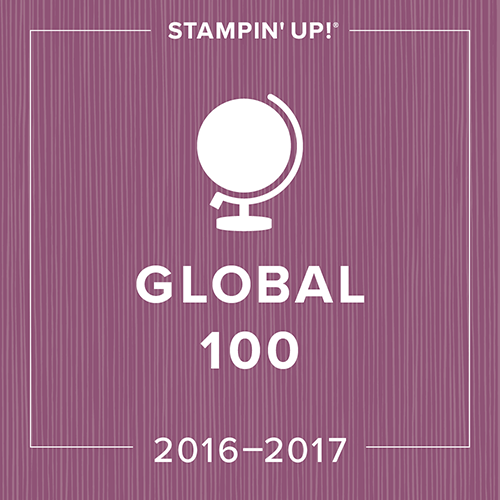 Have you ever thought about joining Stampin' Up? Well if so, now is the time, especially for those of you who already have a large stash of SU product! Here's a great way to join at a reduced price, get that SU discount for yourself, and have a ton of fun doing it! Remember that if you already have items in this product list that they can be swapped out for items of equal or lesser value! If you still want to take advantage of the huge money saver Full sized Starter Kit, then there's a promotion for you too! Incentive items have a $58.20 value and are not substitutable. Although I'm aching to use my old In Colours, I've put them aside for awhile in hopes of "feeling at one" with the new colours. Soft Suede is rapidly growing on me along with Crushed Curry. The new Thoroughly Modern DSP made me pull out my Bermuda Bay which is not a colour I would grabbed by choice, but I must admit that I love the browns and teals together. This is another new stamp set called "For All You Do"; it's part of a fabulous promotion ... check back tomorrow for more details! TIP: When using a new stamp set with solid images such as the butterfly or the floral square stamp, lightly brush over your rubber using your sanding block. This gets rid of the blotchy effect that can happen when you stamp large solid images. In addition, much as I hate to admit it being the queen of the bargain shopping, you need to use an excellent quality cardstock such as SU's whisper white to stamp on. The cheaper variety from the regular craft store doesn't seem to have the same effect... don't believe me... try it! Deal of the Week #3 is Here! I had so much fun with that sketch challenge the other day that I decided to make another card using the same layout. The two cards could not look more different:) I've been dying for my new Happy b-Day Simply Scrappin' Kit to come and when it finally arrived on Thursday, it was the first thing that I played with. I love the colour combination of the new In Colour Crusher Curry, Ruby Red, Brocade Blue and Certainly Celery. After being introduced to Stampin' Up, my scrapbooking went to the wayside and I quickly become a card making addict. However, I decided to play with some of the Simply Scrappin' kits in the last catty and I was SOLD! They are fast and already colour coordinated which I love! 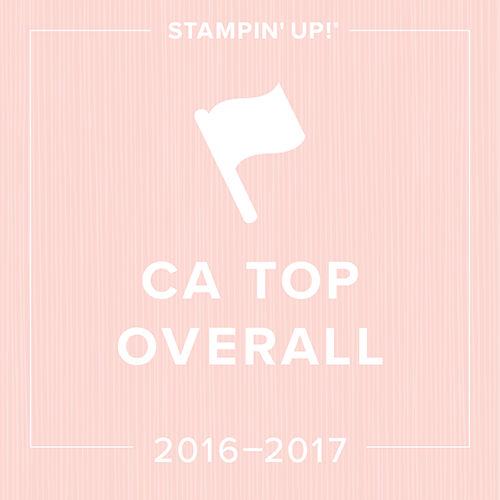 Stampin' Up is Looking for Customer Feedback! 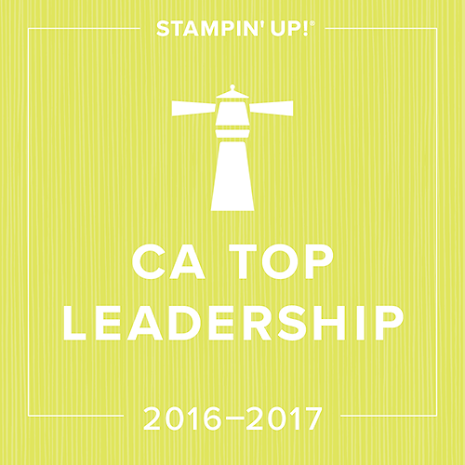 Stampin' Up is always looking for ways to improve their practices, products, and programs. As they research ways to improve their customer's experiences with the company, they are looking for feedback regarding "in-home workshops". Because they value your opinions and would love to hear what is most important to you, they are asking for your help by taking the time to click on the following link and complete the survey regarding your experience with the in-home workshop. My poor UPS man was attacked at the door today. Usually my orders here by noon, but of course, today was the exception. I was waiting for my HUGE order from the new catty! I'm counting down the hours until the boys go to bed as tonight is PLAYTIME! I can't wait to share it all with you at my Open House! Make sure to RSVP this week for your make-n-take! I don't know if many of you have invested in the Curly Label Movers and Shapers Set, but it is well worth it. 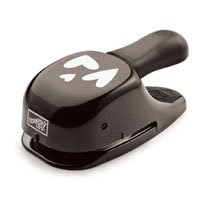 Although this is not a Stampin' Up shaper, I did have a few of these before SU started carrying it. I love the way that I can change up the card by simply moving the little shapes around on the magnetic platform. These dies cut, score and put the window in your card!! I love it! I cut the front of the card out twice and then reduced the size of the gray layer and slightly offset it from the original cardfront. My little robot is actually on the inside of the card but appears to be peeking out the window:) As to what gender I would give this card.... I'm really not sure. Sean says that it has to be a girls card with the Melon Mambo ribbon, but I disagree. I decided to participate in this week's Mojo Madness sketch #94. These are such a fabulous way of getting your creative juices going... especially since I've been away on vacation for the past ten days and really haven't stamped much. I always find it hard to get back into the swing of things. I decided to pull out my new Tall Tales DSP and my Animal Tales stamp set. I love the fact that they coordinate... it makes it easy when my brain is not quite working. I decided to add the corduroy button as I just felt like my card wasn't balanced. I think this will make a fabulous children's birthday card for my stash. I realized that I posted the winner of June's giveaway, but I forgot to post the new stamp set for July. Here it is! This is one of the adorable new Level I Hostess sets from the new catty. I've decided that in celebration of the new catty that I'm going to change things up a little this month. This time, you'll get your name entered for every $15 that you spend this month instead of for every $25 as I've done in the past. Especially with not knowing what some of the new Deals of the Week will be I thought I'd make it a smaller amount so that more of you could participate! Good luck! I will also add your name to the draw if you send me your mailing address for the upcoming Occasions Mini. If you live in Canada and would like a copy of the upcoming Holiday Mini 2009 mailed to you in August, please forward me your mailing address and I will make sure that one is sent out to you free of charge. 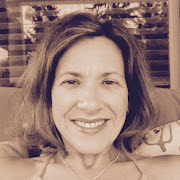 My email address is ange306@shaw.ca. I was just looking back at my June postings to find my image from my monthly giveaway and realized that I never posted it! Anyway, here it was! This is one of the fabulous 6x6 pads of Patterns DSP that was available in the last catty. The best part about these are that they come in colours that the regular ones weren't available in. Well, here it is... the info on my annual Summer Open House! This will be a fabulous opportunity for you to check out many of the new items in the catty! (yes, my first order was HUGE:) I will have demonstrations of the new products, door prizes galore, snacks and refreshments, upcoming class samples, a retired items sale table, specials that are offered only by me, gifts for those who sign up to hostess a workshop, and the HUGEST draw I've ever held... the BIG SHOT! If my orders for the Open House total $1000, I will be giving away a brand new BIG SHOT, along with the option to join my BIG SHOT club for the remaining three months. If my orders for the Open House total $2000, I will give away two BIG SHOTS and two spaces in my club! Anyone who places an order of $50 at my Open House, or by online ordering or emailing me directly on that day, for those of you who are unable to attend, will be entered in this drawing! All orders of $25 placed that day will receive a new catty from me if you haven't received yours yet and the first 5 new customers to arrive that day will automatically receive a catty (no purchase required). I will also be offering free shipping on all orders placed that day! Make sure to RSVP by July 16th to receive your make-n-take that day! Announcing My First Ribbon Share! In order for you to be able to properly accessorize those cards you'll be making with my In Colour Bundle offer, I'm sure that you'll want to get hold of the gorgeous new In Colour polka dot grosgrain ribbon. The best part of this ribbon, in my opinion, is that the opposite side is solid in colour which allows many different looks! I know it is hard to justify buying all of these ribbons, but I thought that I'd give you an opportunity to get hold of a smaller quantity of each. For $25 (including s/h and taxes to anywhere in Canada), you can purchase 3 yards of each of these colours along with a bonus 2 yards of the new 3/4" Real Red Polka Dot Grosgrain Ribbon! This ribbon share is only available from July 2nd at 10am until July 5th at 10pm. Do You Want the New In Colour Marker for Free? For the first time, Stampin Up has offered the In Colours in the fabulous Stampin' Write Markers and I'm going to give you a fabulous way of getting hold of them for free! From today until July 14th, if you purchase all 6 of the new In Colour Stamp pads as well as all six of the new In Colour papers ($112.35 including taxes and shipping), I will throw in the new In Colour Stampin' Write Markers for free ($31.97 value)! Make sure to email me with your order as my online ordering will be unable to process this discount! Watch out for my In Colour Ribbon share! New Catalogue Link is Up! If you don't yet have your copy of the 2009/ 2010 Catalogue, I have my link up in my sidebar! You'll also find the link to the new Definitely Decorative Brochure.... the new decor elements and stencils are STUNNING! If it takes forever to load, it is just VERY BUSY... be patient... you'll get to see it soon! Drop me a line if you'd like a catty put in the mail to you for only the cost of shipping + $5 for today only! The First Deal of the Week is Here with an Added Bonus From Me!